Nowadays most of us, especially kids, often “write” by swiping or pressing buttons. Who needs an actual pen and pad when there’s an app for that? Is good pencil grip even important? According to the decades of research, the answer is a resounding yes. As a teacher, you’re probably well aware of this. 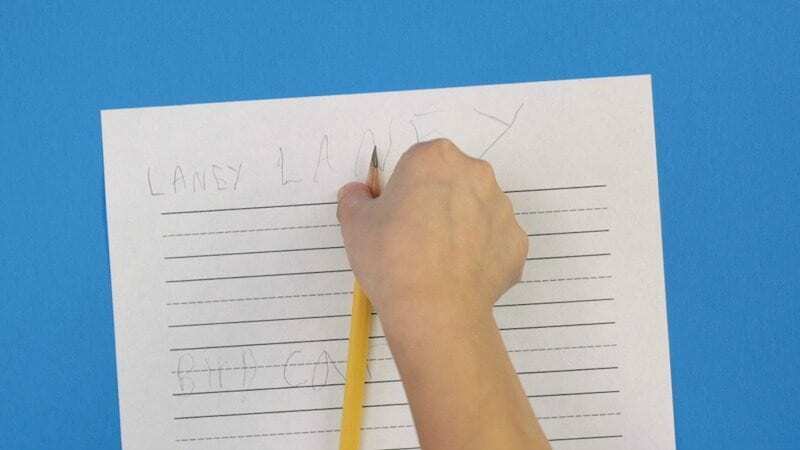 There’s tons of research about the importance of pencil grip, especially for kindergarteners. Indeed, good pencil grip is a key to developing strong readers, writers, and long-term scholars. 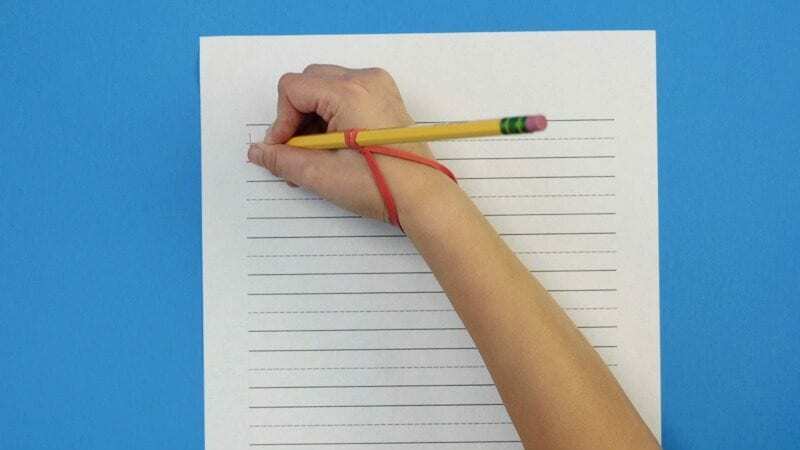 Combine this with the fact that students just aren’t holding pencils as much anymore (thanks, digital devices), and it’s clear that good pencil grip is an important topic. 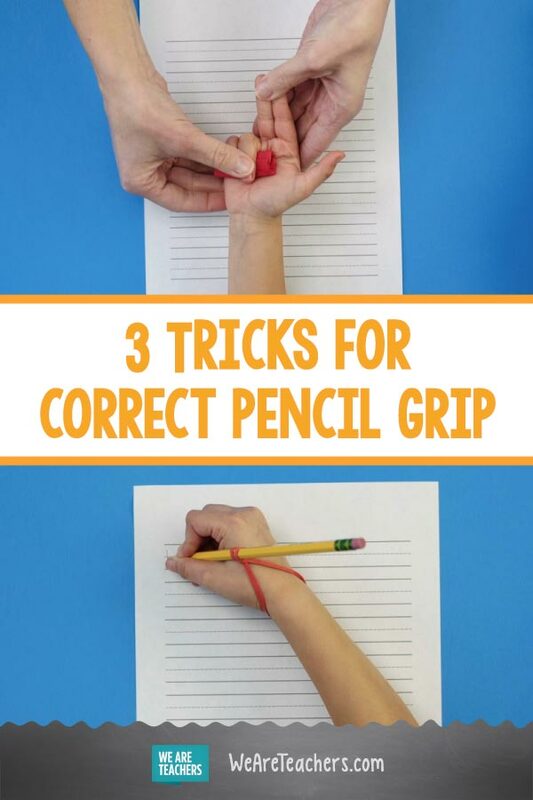 That’s why we put together a list of tricks for teaching good pencil grip to your students. We have a video as well—take a look! Let’s start at the beginning by encouraging kids to pick up their pencil in a way that will naturally lead to good positioning. This is the pinch-and-flip technique. Have your students put their pencils down on a desk. Then, using their two pincher fingers ONLY, have them pick it up. Next, use the other hand to rotate the pencil 180° so it rests comfortably between their thumb and index fingers. By practicing this method for picking up a pencil, kids will set themselves up for good penmanship. Sometimes our fingers have a mind of their own, and they start jeopardizing our good pencil grip. If this is the case for some of your students, use the napkin trick. Just fold a small napkin and place it under the pinky and ring fingers. Then have students use the remaining fingers to pick up their pencil. Not engaging the ring and pinky fingers encourages good grip. Yes, it might feel a little weird to them at first, but it really works. One thing to remember is that you don’t want the folded napkin to be too thick. That will make holding the napkin difficult for your students. And you don’t want to tire those young fingers out. So you might have to cut down your napkin, paper towel, or whatever item you’ve chosen so it’s thin enough to grip for the length of the lesson. Now that you’ve got your students picking up and holding a pencil in the right way, try our final trick to help keep the pencil in place. We used a simple stretchy band for this one. You just loop it around the pencil and then have the student slip their hand through the bottom. Be sure your band isn’t too loose or tight. It should fit comfortably but also be a bit snug, so it really holds the pencil in place. Our student tester LOVED this one the most. She said it was really fun to use, and it helped her write more neatly and clearly. What are your tricks for encouraging good pencil grip? Share your ideas in our WeAreTeachers Chat group on Facebook.